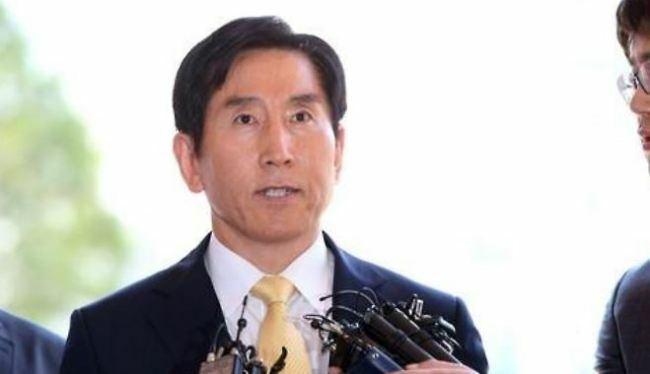 Police said Tuesday they have summoned former National Police Agency chief Cho Hyun-oh as part of a probe into suspicions that he spearheaded massive cyberoperations for the conservative government of the early 2010s. Cho was ordered to appear for questioning at 9 a.m. on Wednesday. He served as the commissioner-general from 2010-12. The 63-year-old is accused of abusing his power and instructing the agency to launch online maneuvers aimed at swaying public opinion in favor of the Lee Myung-bak government and his policies. The police agency's cybercommand allegedly had its own officers to write more than 40,000 Internet comments supporting the government. The cyberteam is also accused of ferreting out those who posted any negative comments about the Lee government.